Home > Notizie > General Grabber AT3 standard on the M-Line off-road package for BMW X5. The new BMW X5 is now also available with an optional M-Line off-road package. An important part of this package is the set of custom-made 20-inch off-road wheels, fitted as standard with the General Tire AT3. 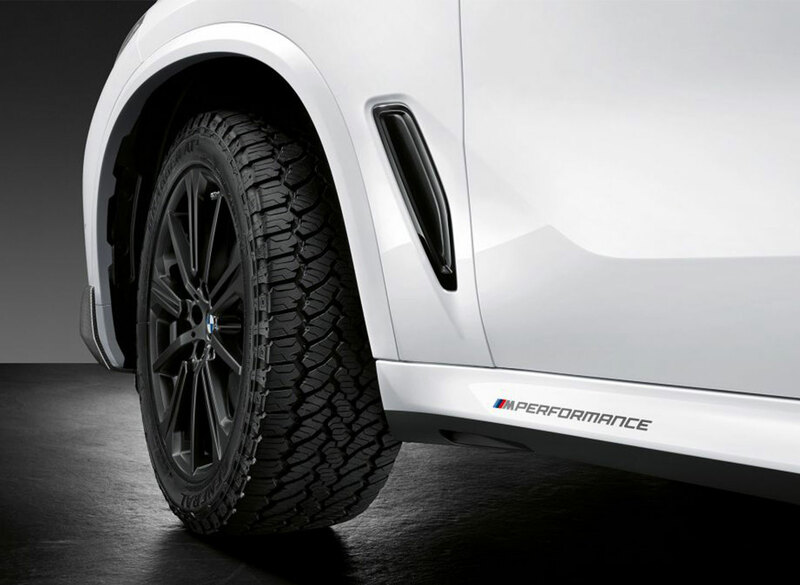 A special achievement of General Tire because BMW sets very high demands on the M Performance parts for all the optional packages. The Grabber AT3 provides an on-road comfortable driving experience, stable handling in all weather conditions and a surprisingly low noise level while off-road performance is impressive. The profile with the large amount of extra grip edges guarantees great grip and optimum traction under various off-road conditions. It is not for nothing that BMW, as part of this M-Line off-road package, opted for the Grabber AT3.